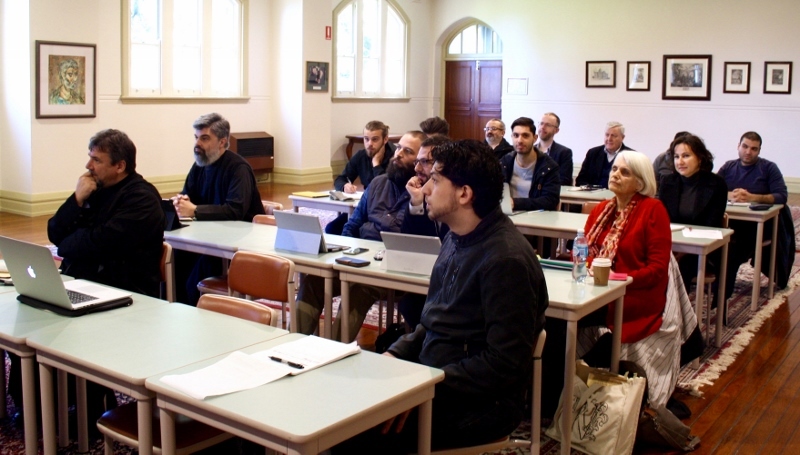 From Monday 25 – Wednesday 27 July, St Andrew’s was proud to host the internationally renowned patristics scholar, Professor Johannes Zachhuber (Faculty of Theology and Religion, University of Oxford, UK). Prof. Zachhuber has been adding to the prestige of the College over the past few years as a member of the editorial board of its biannual journal, Phronema. 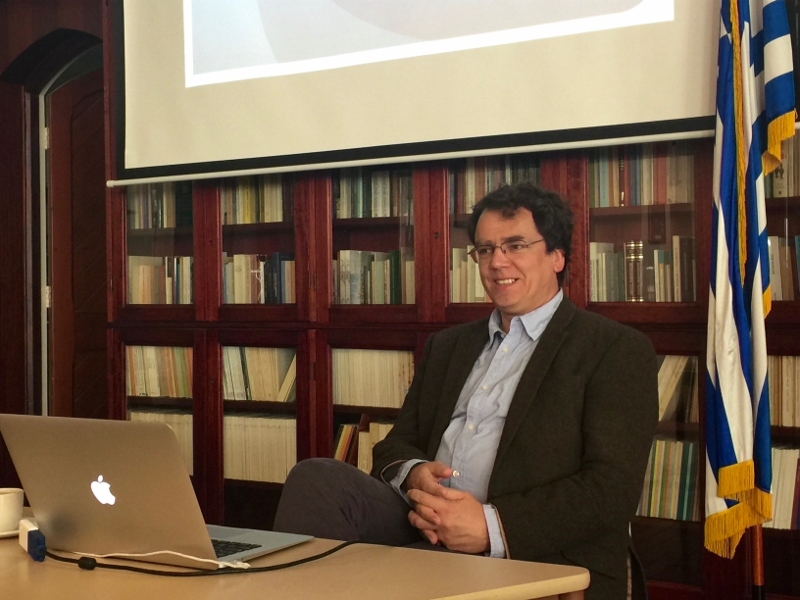 Prof. Zachhuber lectured over the course of the three days for the unit 'T9610A The Patristic Tradition and Classical Philosophy', coordinated by Protopresbyter Dr Doru Costache (Senior Lecturer in Patristic Studies). 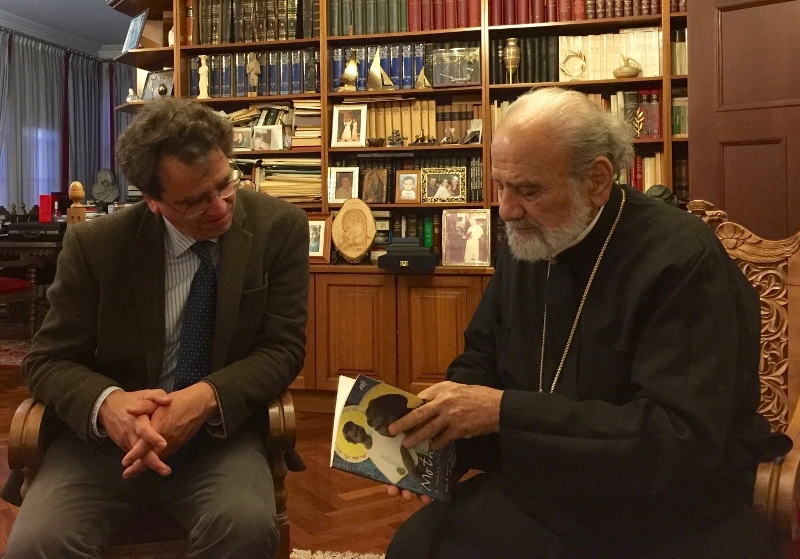 On the Monday, during the afternoon, he was warmly greeted by His Eminence Archbishop Stylianos (College Dean). 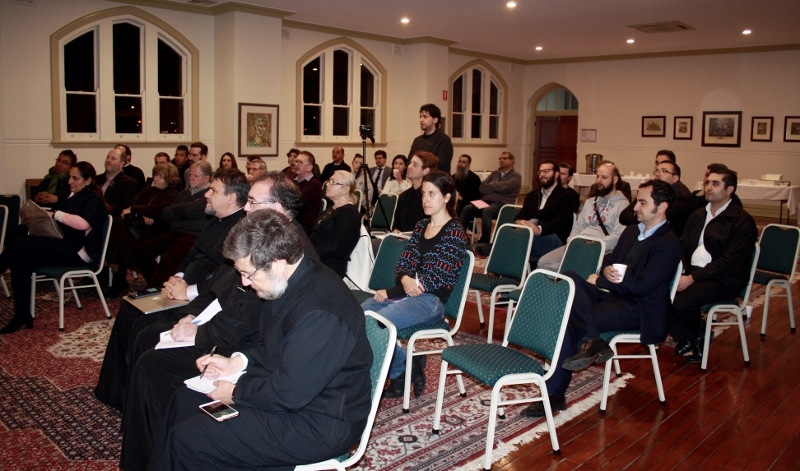 The lectures were met with much enthusiasm and acclaim. 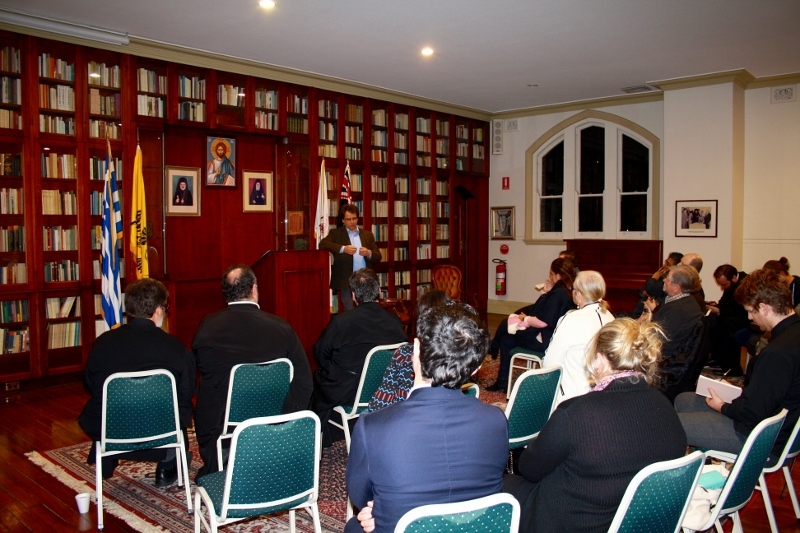 On Tuesday 26 July, Prof. Zachhuber delivered the public lecture ‘The Philosophy of the Greek Church Fathers’ to an audience of fifty people. Whilst appealing to the early Church Fathers, Prof. Zachhuber suggested ways in which the estrangement between the disciplines of theology and philosophy (whose origins he outlined) might be remedied. He subsequently emphasised the need for contemporary theologians to engage with the broader intellectual environment, on the one hand, and their respective ecclesial institutions, on the other.